Vital records of Amesbury, Massachusetts to the end of the year 1849, , at https://archive.org/details/vitalrecordsofam00ames . Topsfield, Mass. : Topsfield Historical Society, (1913) , p. 151. 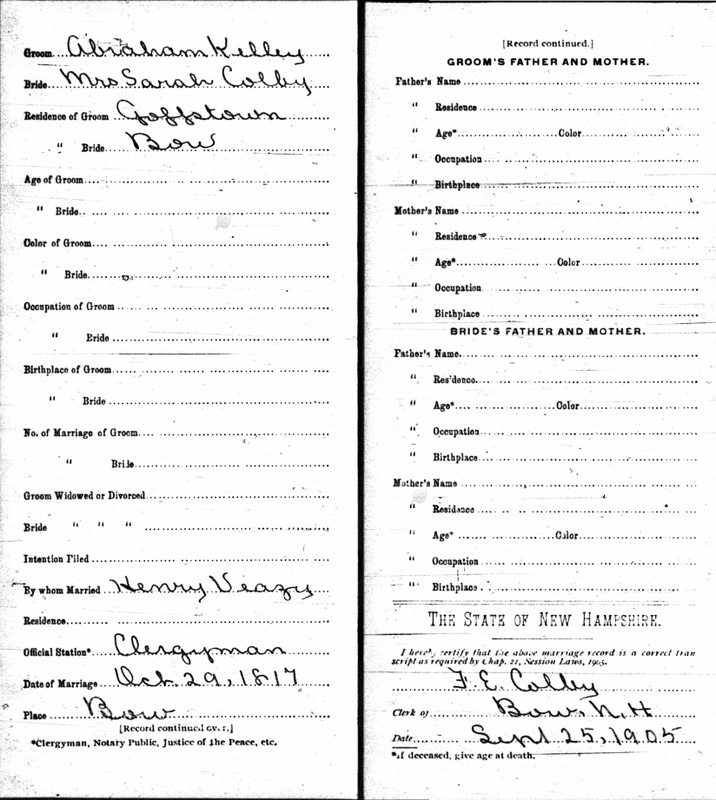 New Hampshire Statewide Marriage Records 1637-1947,, Concord: New Hampshire Bureau of Vital Records and Health Statistics, , FHL Film Number: 1001273. D. Wolcott Kendall was born perhaps about 1849. Massachusetts: Grand Lodge of Masons Membership Cards, 1733-1990., , Wyoming Lodge. Initiated 30 June 1919. Social Security Death Index, at http://www.ancestry.com/ssdi/advanced.htm, Number: 029-03-4822; Issue State: Massachusetts; Issue Date: Before 1951. Hannah Kendrick was born perhaps about 1761. 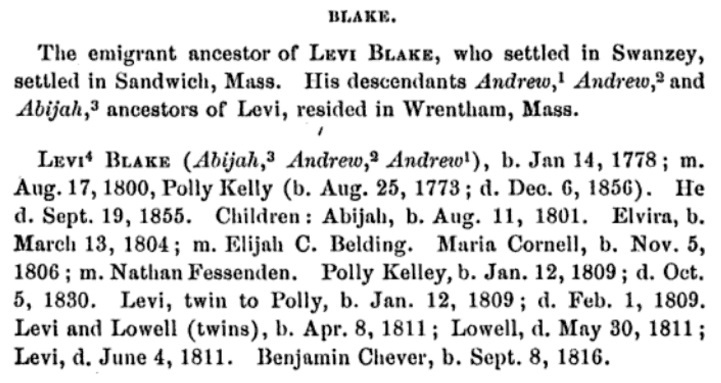 "Massachusetts Births and Christenings, 1639-1915," database, FamilySearch (https://familysearch.org/ark:/61903/1:1:FCVN-X5R : 4 December 2014), Stephen Clement Kendrick, 01 Aug 1803; citing AMESBURY,ESSEX,MASSACHUSETTS, ; FHL microfilm 0599730 IT 3. 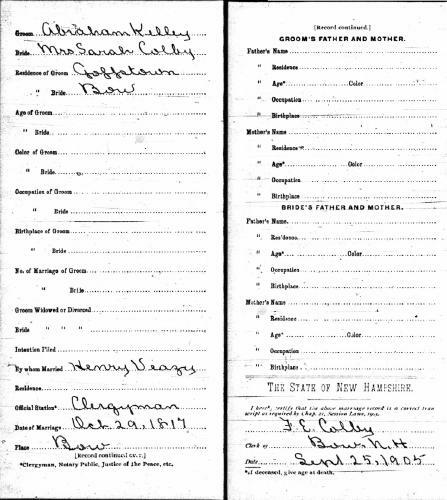 "Massachusetts Births and Christenings, 1639-1915," database, FamilySearch (https://familysearch.org/ark:/61903/1:1:FCVV-VXD : 4 December 2014), Woodman C. Kendrick, 08 Jul 1826; citing AMESBURY,ESSEX,MASSACHUSETTS, ; FHL microfilm 0599730 IT 3. Lucy Mary Kellogg and Ann Smith Lainhart, Family of John Howland: the first four generations of his children Lydia, Hannah, Joseph, Jabez, Ruth, and Isaac, , at https://books.google.com/books?id=J0BnAAAAMAAJ . 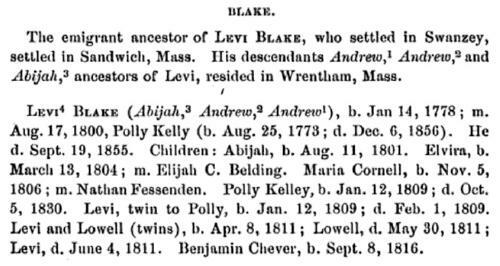 General Society of Mayflower Descendants, (2006) , p. 197.